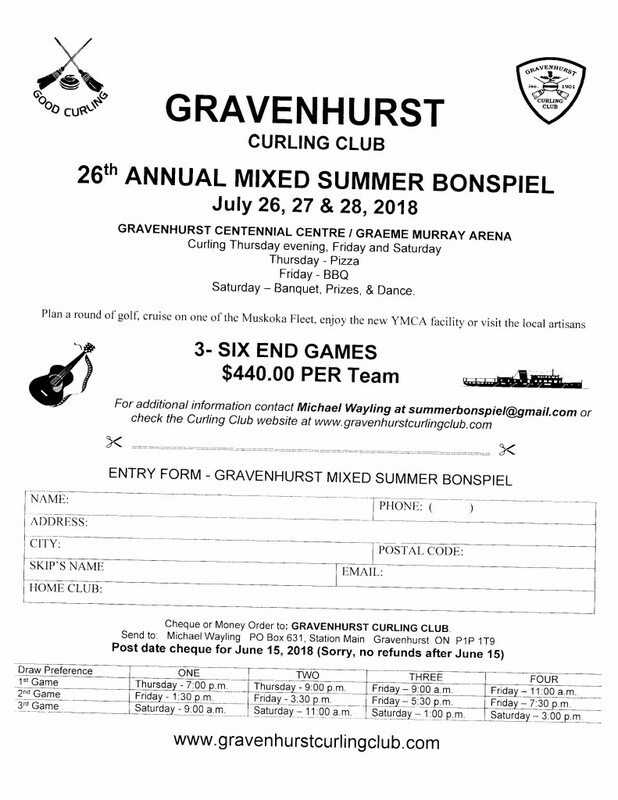 Our 27th Annual Mixed Summer Bonspiel runs the 25th, 26th, 27th of July. There are Four Draws of 3 games per draw. Depending on which draw you play in you will be playing Thursday night, Friday and Saturday or just Friday and Saturday. Pizza Thursday night, Barbeque Friday night, Saturday night Supper, Prize Presentations and a Dance past midnight if you still have the energy ! Although all teams want to win, it is a very fun and social spiel. Perhaps the fact that it is held in July helps keep everyone loose. Especially those that wearing Hawaiian shirts, shorts and straw hats. Although it is listed as ‘Adult Mixed’, there have been Junior teams play with us in the past. 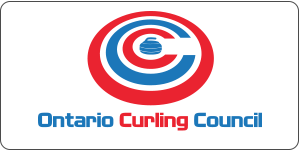 The venue is the Centennial Centre in Gravenhurst. We lay out Six Sheets on the arena ice and, during supper Saturday night, we can watch the Zamboni make it all disappear in advance of the hockey schools coming in for August. 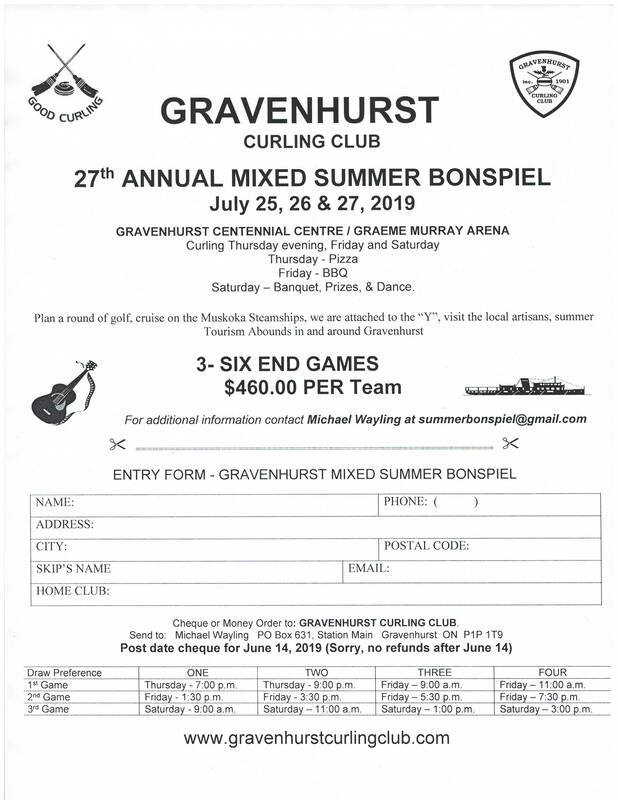 There is a registration form as part of this event page which gives times for games in each of the draws. There is lots of free time around the event to enjoy Muskoka, our golf courses, the Steamships, historic main street and all the shops that offer so many unique things.